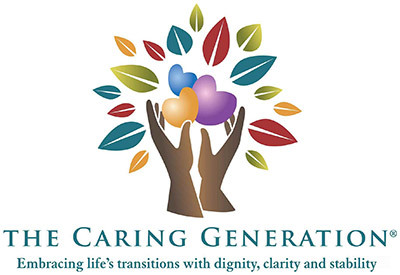 We understand caregiver stress here at The Caring Generation. The website is here as a resource for all caregivers to provide you with the information you need to thrive in your caregiving. Caregivers are happy, energetic, helpful people ready to jump in to lend a helping hand. Caregivers are individuals who find it impossible to say no and who refuse to manage their schedules but instead allow schedules, requests and demands to manage them. This inability to say no, in addition to readily accepting additional caregiving responsibility, results in caregiver stress and burden. After all what caregiver wants to admit he or she can’t do it all? I often hear “I’ve never been sick in my life“, or “I am never sick” from caregivers as if the poor health they are experiencing, not feeling well, is a shock or a surprise. These statements are the first in a long sequence of denial and faulty beliefs about the individual invincibility of caregivers. These statements are a reality check that the rapid recovery, the ability to bounce back quickly from health issues occurring in youth is a fleeting memory of the past for caregivers. “I’m never sick” is a reminder that caregivers can no longer abuse bodies by not sleeping, not eating properly, not exercising and not paying attention to the effects of stress. The physical and emotional effects of caregiving are a reminder that remaining healthy and resilient now takes substantial effort and work. Caregivers who say “I’ve never been sick in my life” swear to me that there is no time to attend to health or see to the doctor. This is when I pose the question, “then you do have the time to be sick?” A caregiver recently told me that caring for her mother took such a toll on her health and wellbeing that she retired from her job. To make sure I understood her statement, I asked, “You retired from your job so you could spend even more time being burdened and feeling stressed by the act of being a caregiver for your mother?” The caregiver smiled back at me and nodded her head, realizing that this may not have been the best choice. Hindsight is 20:20. Logic is not present when emotions take over. For caregivers the role of caregiving results in irrational thinking. You make excuses and poor decisions rather than taking a step back and taking responsibility for your actions or inactions. Heaven forbid you ever say no to requests that add one more item into your already overscheduled schedules. You take these actions because a lack of skills to cope with day to day reality and a sense of denial that caregiving might be different. You continue to allow schedules and demands to spiral out of control. You find attending to your health issues to be too much work. You are not that sick — yet. When you are dying you will see a doctor but not before. One will rarely hear a caregiver say that caregiving is too much work. That is until the caregiver is forced to take a step back and look at the current situation. Now serious health issue can no longer be ignored or because of repeated statements from loved ones of concern that are now final demands instead of gentle caring reminders. How many relationships and marriages are ruined because of irrational caregivers who continually insist they have to run errands, grocery shop, clean house, pick up prescriptions, pay bills or help with other tasks? How many of caregivers realize that when you are not feeling well, you are not as effective in managing your day to day lives or providing caregiving support? Physically you have become slower. Mentally your brain feels tired or sluggish. You make poor decisions because you are distracted or overwhelmed. And if you are a caregiver, how beneficial are you to loved ones requiring your full attention? You are not. Your health issues are compromising your ability to care for a loved one. In these situations both the caregiver and the care recipient are at risk. Caregiving does not have to be stressful and burdensome unless you allow the role to affect and consume your entire life. Both part time and full time caregivers easily fall into this trap. Caregiving is like quicksand. Only when caregivers are neck deep and drowning are you willing to accept help or realize that something in your daily scheduling and planning must be altered. Change is challenging. Hmmm, how could this be? It is possible that caregivers are as stubborn and unyielding as the person for whom they provide care; as stubborn as the same person who initially refused all offers of change in routine, care and assistance? Similar to innocent statements of, “I hope I never become like my mother”, caregivers have become the exact person who previously angered and frustrated their daily lives. Caregivers become their own worst nightmare, especially when they need care. How do caregivers begin to change behaviors? By first recognizing that you are not invincible, that the experience and advice of others who may have walked in our shoes is valuable. By acknowledging that it is not possible to do it all if you hope to preserve your health and your relationships. By asking for and accepting help and support, similar to the actions of the person for whom you are providing care and by realizing that life comes full circle. © 2012, 2013 By Pamela D. Wilson. All Rights Reserved. Like What You See? Become a Member Today! Hundreds of pages of free content. Articles, Videos, MP3s, Forum and more.